At long last, Richmond’s fastest growing neighborhood now has its own fresh, bold logo and brand identity. The Scott’s Addition Boulevard Association revealed the new sleek design at its public meeting April 3. 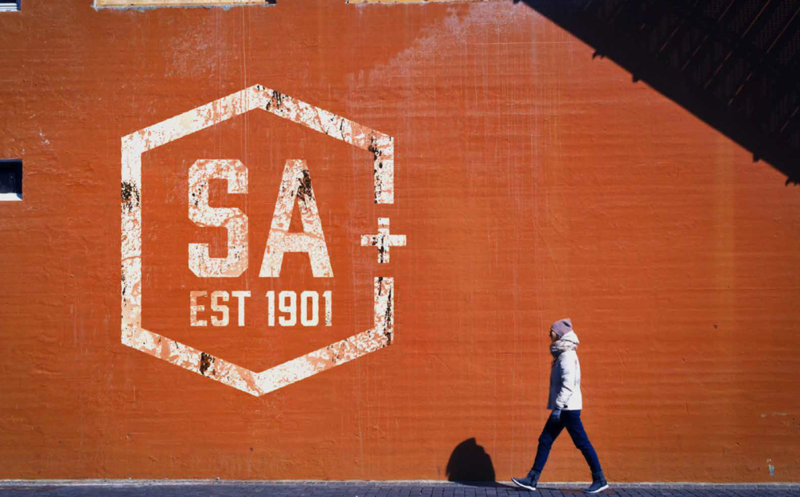 The logo was designed by the Barber Martin Agency, a Scott’s neighbor that acquired and rehabbed an aging warehouse space at the corner of Roseneath Rd. and Leigh St. in the fall of 2017. 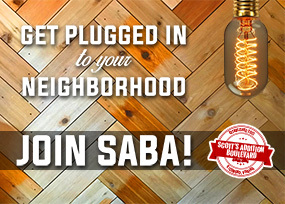 Graphic Designer, Bailey Jenkins, who designed the artwork, told SABA members BMA is so thrilled with its new space and energy in the neighborhood that it jumped at the chance to help design a logo that not only kept the integrity of the area’s history but also embraced the modern change underway. Under the direction of COO and SABA Board Member, Greg Simos and Chief Creative Officer Deb Hagan, several artists dove headfirst into the effort to create a historic yet modern design. The art was then submitted to an association marketing committee that ultimately selected the design created by Jenkins. Jenkins said she studied General Winfield Scott, the neighborhood’s namesake, before crafting her design. 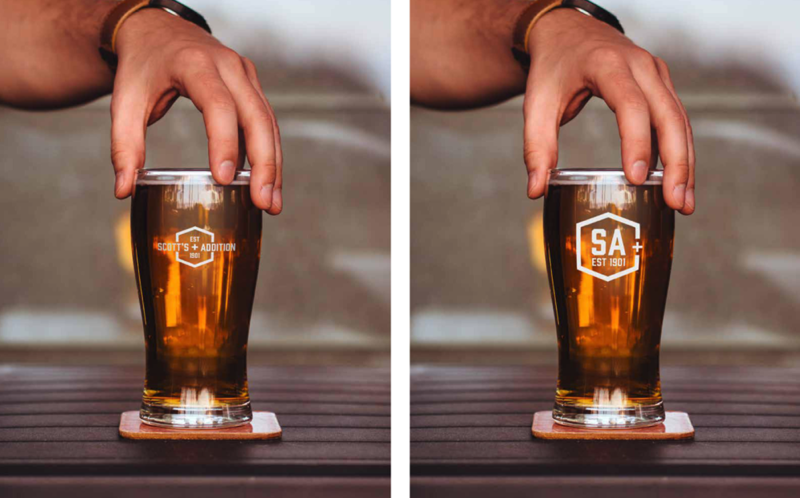 She said it was the goal to create a logo that could be used as a key system to help visitors navigate where they can find food, beer, shopping, residential areas and more. She said she wanted to define the eat, play, work environment unique to Scott’s Addition. The core logo with the “SA est. 1901” can be accompanied by any number of icons like forks, pint glasses, and bags to indicate what type of business is being referred to on the neighborhood’s website, promotional items or on decals for the businesses themselves. 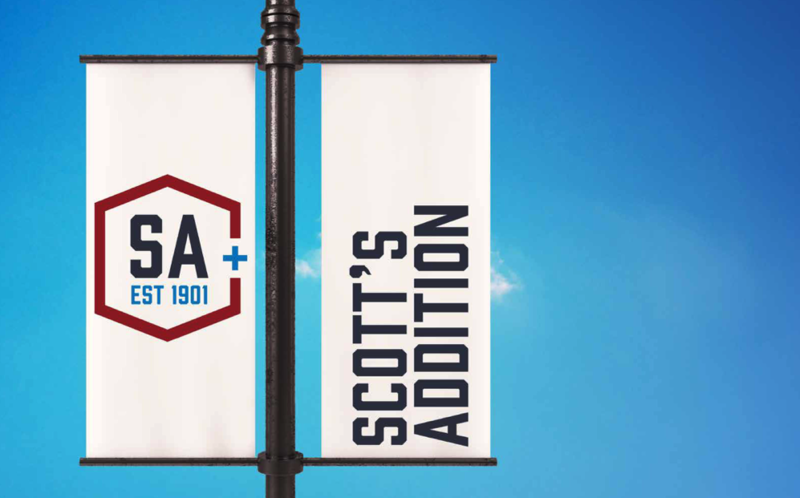 In addition to adding the logo to its marketing efforts, the Scott’s Addition Boulevard Association intends to use the new logo on banners that will mark the gateway into the neighborhood, and eventually add the design as a mural to buildings.